Eliza was born in July 2006 and found wrapped in a blanket at just a few weeks old and diagnosed with micro cornea of both eyes, cataract and ophthalmic dysplasia. She lived with a foster family until March of 2011 who took good care of her and taught her simple knowledge. 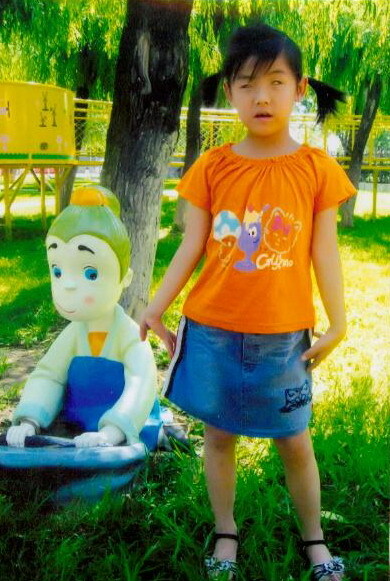 At the time of her report, August 2013, she was attending preschool within the orphanage and enjoying music and language. 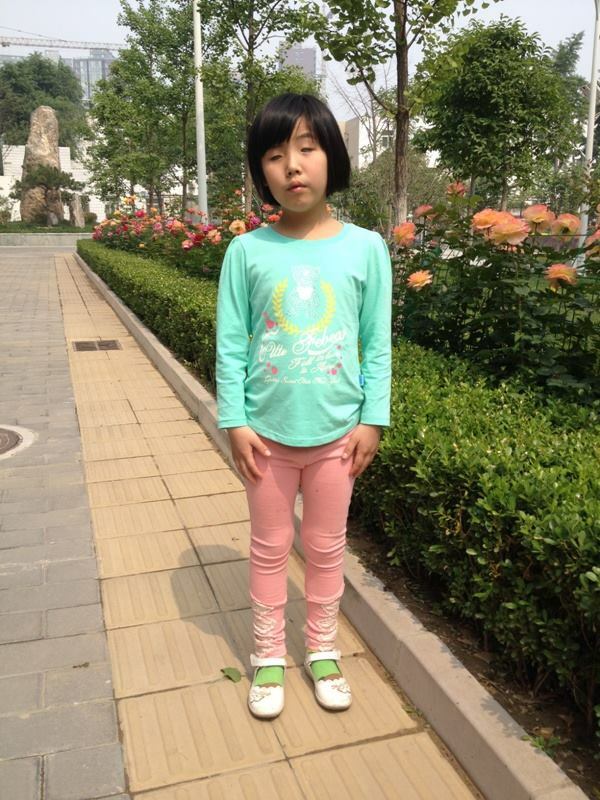 In September 2013 she was scheduled to begin 1st grade at a school for the blind. Eliza is said to be extroverted, active, not afraid of strangers, able to greet guests and able to make conversation. She likes singing, dancing and playing games and gets along well with other kids. Leah may be able to see some light. She is able to dress herself, use the restroom, eat and go up and down stairs alone. She sometimes helps other kids and they praise her for being a good child. In 2014 agency staff met Eliza at a camp and she informed them that she likes shrimp, but not tomatoes. They said she is extroverted and not afraid of strangers, and will greet guests to the orphanage and spend time talking with them. 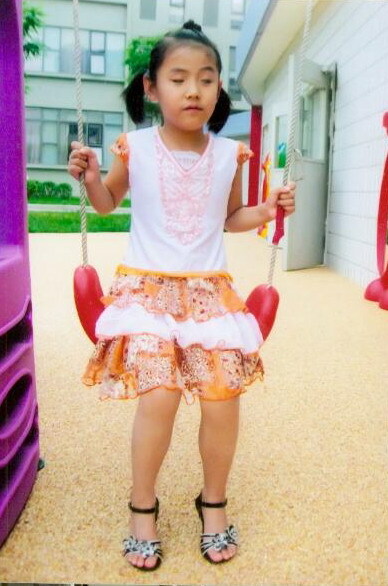 She likes singing, dancing, and playing games, and gets along well with other children. Although Eliza is diagnosed with microcornea and cataracts of both eyes she can sense light and even distinguish colors. Her vision loss does not hold her back- not only can she dress herself, go to the bathroom and navigate the stairs on her own, she even helps other children with their care. She is able to tell what common objects are by feeling them. Eliza is in school, though her file isn’t clear if she’s attending school for the blind or just at the orphanage. Regardless, she has learned to spell and read pinyin, and can say some simple English words. Teachers praise her for her quick memory, which she demonstrated by reciting the English ABCs! Before she left the room Eliza told the agency staff “I hope a family will adopt me- a family with children,” then when she reached the door she turned back and called “I’ll take care of them!” Clearly Eliza has a big heart, but she should be the one being taken care of by her very own family!